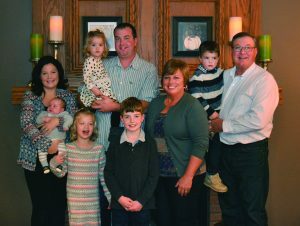 NOVI, Mich.–Twelve MMPA members were awarded National Dairy Quality Awards, including 50 percent of all gold awards. These MMPA members were among 44 nationally recognized farms in the annual award program. One platinum award, nine gold awards and two silver awards were earned by MMPA members. MMPA offers a portfolio of member services to help members produce the highest quality milk possible, with field representatives working closely with each member to achieve quality goals. MMPA also offers a quality premium incentive for its members producing higher quality milk. Over the last five years, quality premium payments rose 37 percent. MMPA’s large representation in the National Dairy Quality Awards underscores the hard work of the cooperative’s farms while competing against other well-preforming farmers across the country. The Platinum Quality Award winners were honored today during the National Mastitis Council annual meeting in St. Pete Beach, Florida. The following MMPA members received awards.